Nanosecond lasers are the most common category of q-switched lasers used today. Q-switching is the use of a high-speed shutter which is introduced into the optical cavity to temporarily increase the cavity losses until the gain materials metastable level is fully saturated. Once the switch is opened, all of the light is emitted at one time. 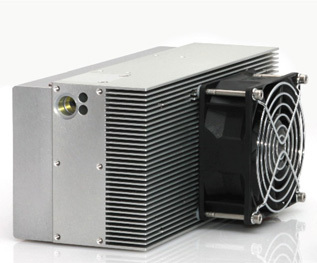 For most laser gain materials, the depletion time is on the order of a few nanoseconds (10-9s), resulting in the generation of nanosecond laser pulses. 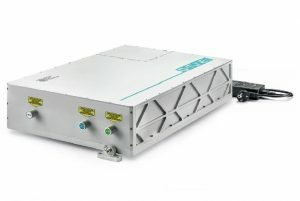 Solid-state (DPSS) lasers, flashlamp lasers, fiber lasers, and microchip lasers can all be q-switched and therefore used to produce nanosecond pulse width lasers. Because of the wide range of gain materials and technologies, nanosecond lasers are available in a vast wavelength range from the ultraviolet through the infrared region, pulse energies from nJ to J, and repetition rates varying from Hz to MHz. With the high peak power and short pulse widths of these lasers, are ideal for a wide range of applications including LIBS, laser designation, and marking. The search filters to the left can allow you to better sort through the wide range of nanosecond lasers offered at RPMC to find the one which is best suited for your application, or you can talk to one of our laser experts today by calling 1-636-272-7227.